When Jan told me we should meet at the Coffee Company Oosterdok, I have raised an eyebrow. “You know I don’t do chains”, I barked. “This one is different”, he replied. “So you’re coming”. I obeyed. I don’t regret it. The first Coffee Company opened its doors in the 90’s and in the meanwhile, it has become a reference in the Dutch coffee scene. Coffee Companies are perfect spots to work at and their black potion is very good. They combine sober aesthetics, professionalism, and the relaxed vibe that’s so characteristic of the Dutch culture, and a lot of locations have a good music selection too! So Jan was right. They might be a chain, but they’re different. FC Hyena is an art-house movie theatre + restaurant with a creative vibe and lots of colour. The place has a large terrace overlooking the Ij and that’s why it has been the chosen spot for my birthday dinner. The food was a pleasant surprise – they have plenty of delicious vegetarian options. Moreover, it’s located in Noord and not a lot of people know of its existence which makes for a chill environment. I feel that I will be spending plenty of summer afternoons / evenings in this setting. I got acquainted with De School because of We Are Public events I’ve been working at. This club is definitely a must if you’re into art, underground electronic music and clubbing. Inside, the vibe is artsy, dark, mysterious, progressive, cool. After the closure of the iconic club Trouw, this venue became the reference in town. Keep in mind that when I say underground, I really mean underground, both in their art program and clubbing selection. They often refuse people at the door when they’re not acquainted with what they’re about or the artists performing that night, so if you want to pay them a visit, make sure you do your research beforehand. Yes, this is me handing out headphones at an event in De School. Every August I set myself to go watch movies at the outdoor cinema festival Pluk de Nacht, but it was only this year that I managed to live up to the intention. A friend of mine was present at the festival with an art installation of his so that was the perfect excuse not to miss the event. Pluk de Nacht (“seize the night”) is the best name for this festival. The setting, overlooking the Ij waters, is absolutely beautiful, you can watch independent cinema while having a beer and grabbing bites with friends in the open-air. You can also bring your own stuff (booze, folding chair) or choose what you pay for and support the festival in that manner: there are beach chairs, warm blankets, food and drinks available. A friend had told me about this co-work space that you could use for free as long as you were open to giving back to the community. This means being open to sharing your knowledge with someone who could use some help in your field of expertise. I was in! Little did I know that Meet Berlage has a stunning interior, as it is housed at the Beurs de Berlage, a little bit down the entrance gates of Amsterdam aka Central Station. This national monument, an edifice officially opened in 1903, is the third to house the Dutch stock exchange. Since 1985 it has become a “public palace” where different cultural and social activities are held. All I need in the summer is a beach – don’t we all…? The thing is, I’m no fan of Zandvoort, the closest beach, and I’m hasty so I want to be at a beach within a bike ride. The perfect solution for me are city beaches. This may sound – and be – artificial but, to be honest, I DON’T CARE! When it’s warm I NEED to be able to dip my body in water, regardless of where (yes, I’m that person). It can be a river, a canal, a swimming pool, a sink. As long as I can dive, I’m good. This brings me to the KNSM island, which I found by chance when cycling to a photography exhibition of a friend, at the nearby Loods 6. Needless to say, I went back several times, with a swimsuit on (to-the-beach,-not-to-the-Loads). Have you read about my experience with the workshop “Meaningful Work and Money”? This former houseboat, anchored at the sustainable island De Ceuvel, is where the whole thing took place. The Metabolic Lab is a living laboratory which provides education and consultancy in applied sustainability, circular economy and clean technology. Being in a place like this, where innovative environmental solutions are being developed on a daily basis, was in itself highly inspiring. And then there are the surroundings – De Ceuvel – where you can have a beer or a meal, attend a concert or a workshop; you can even sleep there. You might have seen their flashing sign on the NDSM and wondered if you could trust your eyes. I went to Sexyland for the first time when Pål / Secam were playing their mad tropical electro-funk beats (just came up with the definition). Ended up with no shoes, histerically jumping on an old couch which stood on the dance floor, together with a girlfriend of mine (hi, Shirin!). That’s how this venue got me hooked. The evening wouldn’t repeat itself and that’s the whole point, anyway. Sexyland is a venue that hosts a different concept every night so every event is unique and unrepeatable. How awesome? Make sure to check the previous nine! Want to read more stories? You can follow Amsterdive on Facebook for all updates. Note: I have been doing daily Instagram stories on adventures (and nonsense), which you can check out here. 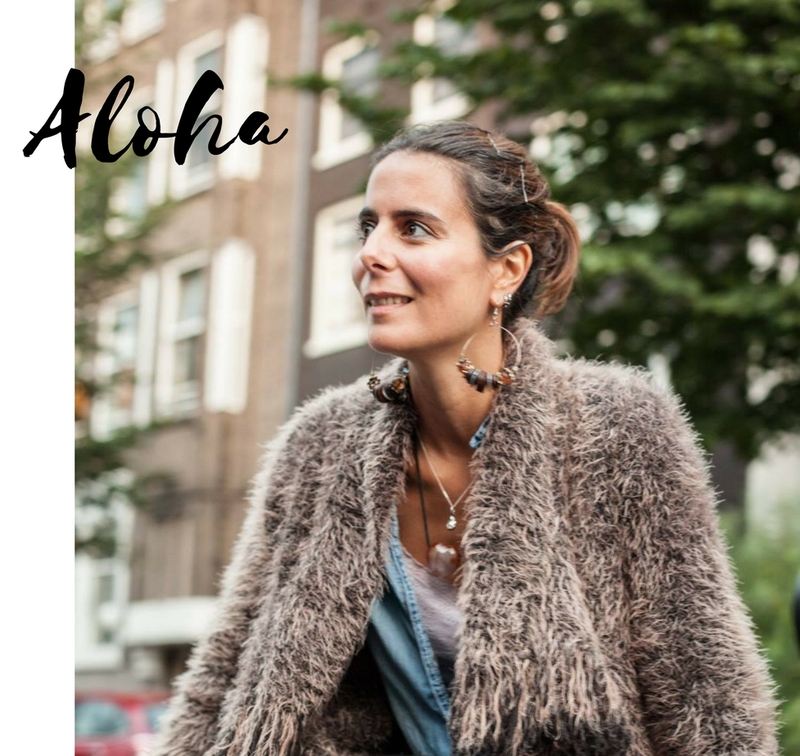 Really cool list, I enjoyed it a lot, probably because it is so eclectic – and because I am so new to Amsterdam everything is useful to me! :> Nicely done!